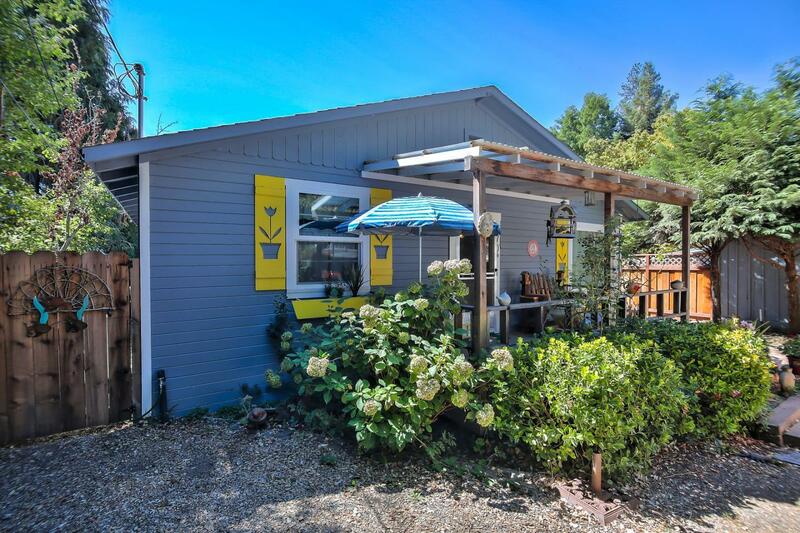 Cheerful, vintage get-a-way close to town but off the beaten path. Ideal for the savvy gardener situated in full sun and fenced all the way around. The covered front porch provides shade and relaxation, the open back yard screams BBQ and s'mores! Immaculately clean and bright interior with a spacious and open floor plan. Newly remodeled kitchen featuring a perfectly fitting built in dining nook. Old fashioned enclosed back utility/mud room has the washer/dryer and workbench with cabinetry for projects and every day maintenance. Don't miss this perfectly situated, colorful and happy home! TFT NO fault of Seller, Buyer had a job change.